AquaMon Systems by Cermetek are extremely versatile. They support a wide range of agricultural needs including irrigation control, precision agriculture, freeze warnings, and tail water control. AquaMon systems include Sensors, Nodes, and the Remote Sensor Viewing Platform (RSVP) server based software application. 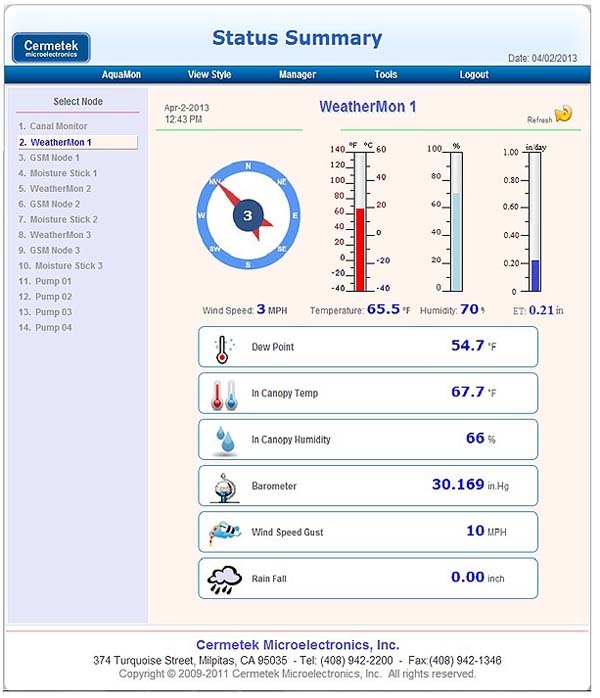 AquaMon provides the flexibility to use sensors provided by Cermetek such as the LeafMon Crop Water Stress Monitor as well as sensors provided by other vendors. Nodes include the hardware and embedded code to read sensor data and move it to the web server. The RSVP software processes the uploaded sensor data, makes that data available to the grower, and gives the grower the ability to remotely activate irrigation valves and pumps. Growers can view the RSVP display with any browser equipped laptop, tablet or smartphone; no special software application is required. AquaMon Systems include several types of nodes. The list below describes each type of AquaMon node. A Hub provides the communications platform for moving data from wireless sensor nodes to the Cermetek web server. Includes a 900 MHz or 151 MHz radio for communication with wireless sensor nodes and a Cellular modem to upload data to the web server. Wireless sensor nodes interface with the sensors and actuators used in the field and include a 900 MHz or 151Hz radio to move the data to the AquaMon Hub. A Single Node System combines the functions of the Hub and Wireless Sensor node. It connects directly to the sensors and actuators and carries the cellular modem required to move that data to the web server. A Repeater Node extends the wireless range of Wireless sensor nodes by relaying the 900 MHz or 151 MHz radio signals between a Wireless Sensor Node and a Hub. A SIMAT Sensor Node is a simplified version of a Wireless Sensor Node. It includes only one sensor to detect the run off of surface irrigation water and moves that data to the hub through a 151 MHz radio link. LeafMon calculates a Crop Water Stress Index (CWSI) value from environmental measurements from a group of sensors embedded in the LeafMon. Crop Water Stress Index values range from 0 to 1 with zero reflecting a plant with its stomata fully open and a one showing a plant with the stomata fully closed. The standard LeafMon connects to an AquaMon Single Node System. 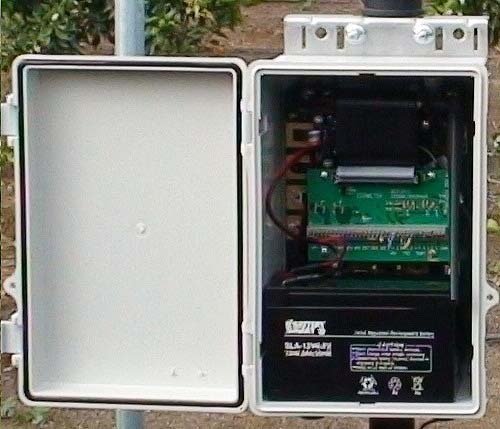 The single node system reads the data from the environmental sensors and transmits it to the web server where the RSVP software calculates the CWSI. 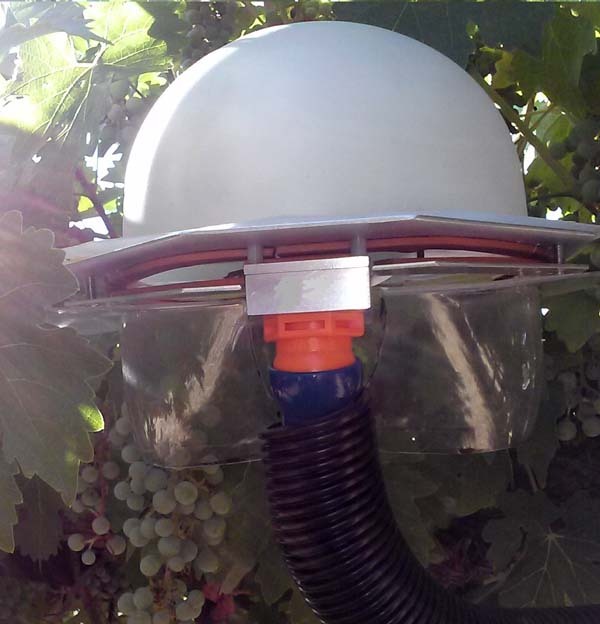 The LeafMon-S is a universal version of the LeafMon Crop Water Stress Sensor. It utilizes an industry standard SDI-12 communications link to provide the CWSI to any SDI-12 equipped data reader. The LeafMon-S calculates the current CWSI value with each request from the connected Data Reader. The AquaMon Surface Irrigation and Alert Technology (SIMAT) system improves the efficiency and reduces the environmental impact of surface irrigation. 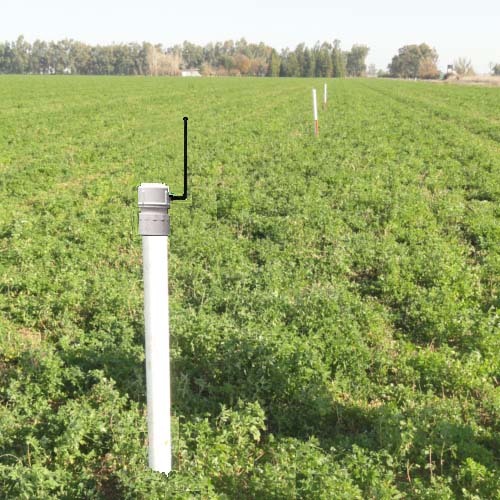 SIMAT employs a temporary wireless sensor network to monitor water flow in the field. The wireless network includes a hub and multiple wireless sensor nodes installed within 2 miles of the hub. The sensor nodes report the presence of water at the hub. 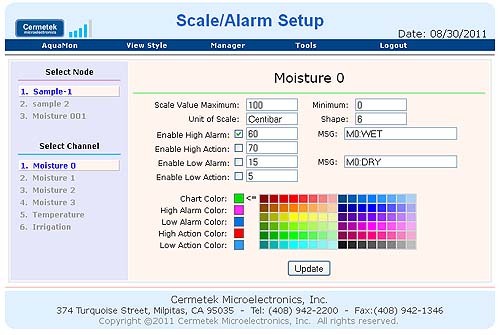 The hub transmits the sensor data to Cermetek’s RSVP* web software. RSVP allows workers to monitor water levels at critical locations with any browser equipped tablet, laptop, or smart phone. When the water reaches a preset critical level, RSVP sends a Text or Email to notify the grower to shut off the water source. The Cermetek RSVP software resides on our secure web server. RSVP performs a variety of functions including; processing the data uploaded from AquaMon nodes and hubs, providing the grower’s interface to the AquaMon systems in the field by displaying the collected sensor data and controlling connected valves and pumps. The flexibility built into RSVP allows the grower to customize alert limits, alarms, and displays to meet his specific requirements. RSVP insures the grower has access to the most current field data. The grower can view the data at any time from any browser equipped laptop, tablet or smartphone. RSVP even archives the data so that the grower can review past data at any time. The grower can also elect a dashboard display format showing current conditions. RSVP also empowers the grower to remotely control pumps or valves. Colored buttons on the RSVP display show the state of the controlled equipment. By clicking on a button the grower turns the connected device on or off. Cermetek built great versatility into the RSVP code allowing the grower to modify many functions. The grower can change the type of data display or change the display colors using a simple style page. RSVP can also be configured to accommodate many different types of sensors. The grower can set the alarm limits to any critical sensor value and program the content, destination and type of alert message RSVP generates from reaching the preset limits. RSVP protects the grower’s data with Username and Password access control. The grower can then limit access to his data to key employees and farm advisors.